Although the UK has taken well known steps to incorporate internationally recognised human rights law into domestic legislation there are still cases where it is found to have breached human rights. Whilst many cases are resolved within the UK’s own legal system, there continue to be cases which go to the European Court of Human Rights (ECHR) for a final decision. We look at some cases where the UK has been found, by the ECHR, to have violated human rights law. In 2000 the ECHR found that the UK had violated the human rights of several homosexual soldiers who had been dismissed from the armed forces because of their sexuality. The ECHR ordered the UK to pay substantial damages to the individuals involved. The fact that the soldiers had been questioned about their sexuality, and then dismissed because of it, was held to be a breach of their right to privacy. This case lead to the law on the sexuality of those who can serve in the UK’s armed forces being changed. The UK is now amongst those countries who allow gay members of the armed forces to be open about their sexuality. A 2002 human rights case was brought against the UK regarding a widower’s entitlement to receive bereavement benefits. Until 2001 a man whose wife had died was not entitled to receive the lump sum and weekly bereavement payments which a woman whose husband had died would receive. A widower who had given up work to care for his children after the death of his wife in 1996, and who was refused the bereavement benefit, took his case to the ECHR. The ECHR held that the widower had been discriminated against on account of his gender and ordered that he be paid £25,000 in damages. By then the law in the UK had already been changed meaning that, today, a bereaved spouse of either gender has equal entitlement to bereavement benefits. The UK’s law preventing prisoners from voting in elections was called into question by a 2005 ECHR case. An ex-prisoner started the case which used human rights law to challenge the UK’s ban on prisoners voting. The ECHR held that the ban may constitute a breach of an individual’s right to free elections. In 2008, with the UK’s law on prisoners voting unchanged, the UN commented that the ban may constitute a breach of human rights. Although the UK is usually prompt in adapting to ECHR rulings, as at March 2010, the ban remains. However, there have been suggestions that the law may be changed to allow some, less serious, categories of prisoner to vote. A 2008 case was brought to the ECHR by several civil rights organisations. This questioned the legitimacy of the UK government’s use of phone-tapping and the monitoring of emails between the UK and Ireland from 1990 to 1997. The civil rights groups claimed that some of their correspondence had been monitored by the authorities. The law at that time gave a very wide remit for the UK authorities to monitor correspondence and the very existence of that law was said by the ECHR to pose a threat to rights and freedoms. 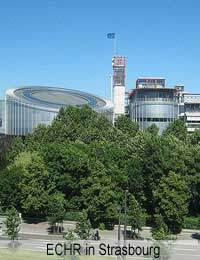 The ECHR was concerned that the law was open to abuse and held that the monitoring constituted a breach of the right to private correspondence. The UK government considered the case to be so sensitive in terms of national security, that it would neither confirm nor deny what had actually taken place. However, it did concede that it was reasonable for the ECHR to assume that some of the groups’ correspondence had been viewed. In 2010 the ECHR found that the stop and search procedures used by the UK police pursuant to the Terrorism Act 2000 were illegal because they did not require the police to have grounds for suspicion before using them. The ECHR found that this was open to abuse and constituted a breach of an individual’s right to private and family life. Many rules and laws introduced to combat terrorism have been challenged under human rights law. The measures needed to protect the UK against the threat of terrorism are considered to be much greater than those required to combat ordinary crime and there have been concerns from many sectors of society that this has been used as an excuse to take away long-held rights and freedoms. the write up i sent you about my friend in a care home as a mobile number to contact me but it is the ronge number the number is 07493890219 can you put this mobile number in so i can get a response. I am fighting for someones lifethe care home is in barnsley she is loosing her mind in this place. and i feel she is giving up with life. Is a worker's council or something similar where one can lodge complaints? I had a terrible experience with a British recruiter who used insulting words like "Shame on you. Have you no honour at all? " ,"You are like most candidates, only interested in chasing money " after I rejected the accepted job offer due to personal reasons.Or is this normal from recruiters? Thank you for your response! My workplace have sickness triggers of 8 days a year or 4 periods a year and if you hit these you can be put on monitoring for 18 months. If you hit these triggers again they can dismiss you. Is this a violation of my HR to be sick. I am a human not a robot! No it's not a human rights violation and it doesn't necessarily follow that you will be dismissed as most employers will take steps to establish the validity of the sickness etc. If you take several days off each year because you have a bad cold for example, your employer may consider you to be unhealthy or unreliable. I was 9 months pregnant with my fourth child when I told my ex partner who is muslim I did not want a relationship with him. He was abusive, a thief and harassed me for 7 years. He reported me to social services and police for child kidnapping, I was not allowed to travel while pregnant without his permission, the police broke into my house and took my children and newborn baby away and to give to him, but my son spoke about father hitting me so they went to foster care. The Court and social workers 90% of them women involved, have sided with my ex partner to take custody, and were more interested in knowing my love life and personal finances and accused me of having an affair and of money laundering. I was agreed once a month visits to my 4 children but my ex partner never brought them to the contact centre for 1.5 years. I don't know what school they go to or about their health. I am treated as if I am dead or invisible. My health is getting worst because of the abuse by the British people and the authorities. I have diagnosed lung disorder and find it difficult to breathe daily, especially when stressed or dealing with these people, they are making me ill. Now my ex is demanding I be supervised for the next 16 years in a contact centre. Accusing me of not showing emotional love during contact, and dictating what I cannot do. I cannot celebrate their birthdays, cannot speak my language to my children, cant bring friends, my new partner to know them. The judge of the court is obsessed with my personal life i.e where I live, what I do, my partner , even though she refuses to give me custody back. I am scared that when I have a new child, which I am already planning, that my children will continue to be supervised in a contact centre and I refuse to bring my new child into that environment which my partner would not allow. I don't know what to do. I cant move forward with my children and my future marriage and future children with them still oppressing me. I am thinking of European courts and I am taking steps to remove my British citizenship so that when my children grow up I have no assosciation to 'britain' whatsoever. 3men in a car made alligations i common assult on driver. 1yr later further charge dangerous driving. Trial @ mag court i had leagal reprasentation as reppn myself. Court said it unfare 4me 2cross examin as ov assult charge. Duty solicitor appointed only 2 cross examin (usless) left on own rest ov case.. Please seek professional legal advice for this. Which court in the United Kingdom is the best court to take a matter of human rights violations and breaches in the convention of human rights to? I am a litigant in person and would like to take on my case forward but need to know which court to begin proceedings to. On 3 July 2015 Cheshire West and Chester Council convinced the High Court of England and Wales I wrote and sent 1200 emails to its Solutions team in 2011 many of which it claimed contained derogatory, abusive and harassing content. The Council refused to disclose any of those emails at court despite having made no application to the Court not to do so. I denied being the author or sender of the emails and reminded the Mr Justice Edis to the Civil Procedure Rule 31.6 - wherein it states both parties must disclose all documents they rely on to win their arguments. At a second hearing on 17 November 2015 I made application to the Court for specific disclosure of those emails but the Council opposed my application telling the judge I did not want the mass of documents to prove my innocence but instead to prove numbers of its officers and elected members dishonesty. Despite my assuring Justice Holroyde those emails have never existed still he refused my application. On the 6th September 2016 despite my saying I required copies of those emails ito prove my innocence - Appeal Court Judge Rt Hon Lady Justice Glosser agreed Mr Justice Holroyde was correct to refuse me those emails. Since 17 November 2015 I have twice submitted Subject Access Requests to the Council seeking copy of those 1200 emails - the Council declines to process my requests and as a result I formally complained to the Information Commissioner only to be told she cannot investigate as the emails formed part of a legal case. Twice I assured the Commissioner the emails were never disclosed therefore never formed part of that legal action - the Commissioner refuses to acknowledge my correspondence. On 9 August 2016 the High Court ordered my website taken down and banned me from owning any further sites for twelve Months - it also banned me from creating new email accounts. This week I formally complained to the Cheshire West and Chester Council claiming its refusal to provide me copies of the 1200 emails knowing as it does I require them to prove my innocence is tantamount to inhuman and degrading treatment - it is torture - is a breach of article 3 ECHR 1998....the Council declines to process my formal complaint. Is it a violation of human rights for women in prison to be made to strip...then squat...whilst on a period...then physically have your tampon removed if you refused to do so...this happened to me whilst in holloway. In the past yrs since being there.i have been so badly treated. I have also been raped and was told by police that it was my own fault even thoigh mrdical evidence had proved my cervix had been torn. I feel completely alone and let down by the way i have been treated..i have nightmares...my husband is so worried. Do i actually have any rights anymore? I have a friend who was falsely arrested for a crime he didn't commit. He spent six months in jail awaiting trail. The day before he was due to go court all charges were dropped. This was in June. He is still in prison and awaiting a release date. No reason has been given as to why he is still there. We have asked all we can why, no one has an answer. Nothing to talk about we meet in court the mad dogs in campsfield treat refugee like a terrorist.racism was born in oxford humiliating is oxo oxfordshre manipulating of humanright violation.. millenium world uk is still in dark age discriminating is unacceptable in united nation database for a day shall come great scotland will go then what else small or great. You can change your please, but you should rely on the advice of your solicitor who will be more familiar with the workings of the courts and full details of your case etc. My human rights have been breached by my local councils planning enforcement for over 20 years.Their refusal to act on planning & rights of way decisions regarding 3 developers behind my property and adjacent to each other on non-compliance of these decisions.I have been the constant complainant as my life in my home has been hell.Instead of acting on all my proof planning enforcement chose to lie to the ombudsman,lie to me so that they could put those letters in their files and keep closing the case.Lose all paperwork on all 3 developers.Finally after a promise by the chief executive officer to investigate on being given all the proof,photos,cctv etc,she chose to send me a vexatious customer letter,the reasons given that my telephone number was logged calling council 37 times in 6 mths.At least 20 went to answer machine which still logs it.I did not leave messages.My number will log when i pay in the rental side of my shared ownership house with them also when i call in for visitors permits.You have to phone in now and make an appointment.This has cost me my health mentally and physically,time and a lot of money.Also for sending emails proving everything.If anyone would actually look at the proof they would find it shocking.I never had any rights and i did not get the privacy of serious overlooking that planning & rights of way panel said i should in there final decisions regarding these 3 developers.Can anyone help me.